This CALKIT enables you to recalibrate your ACT GOLD PLUS Intelligent Battery Tester. It’s quick and easy to do and involves no internal adjustment of the tester. 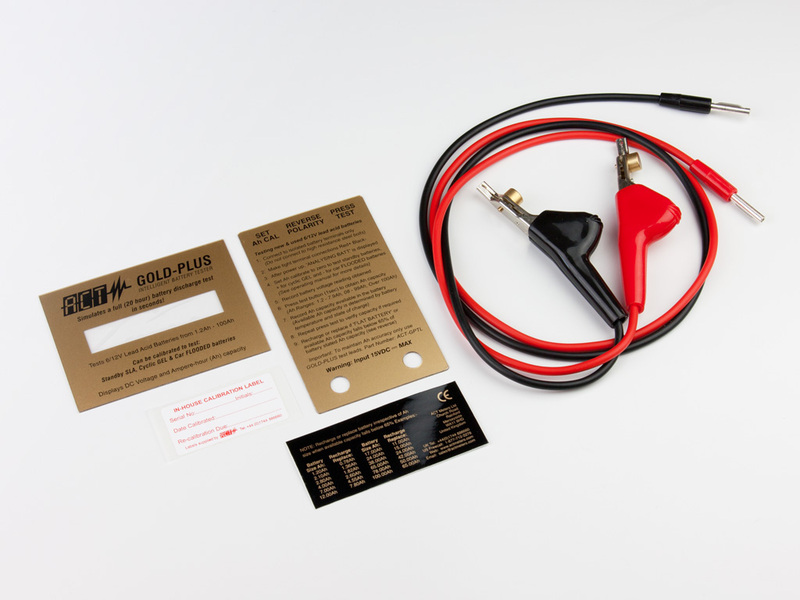 Each CALKIT consists of replacement calibrated plug-in test leads, new front and rear labels and instructions.